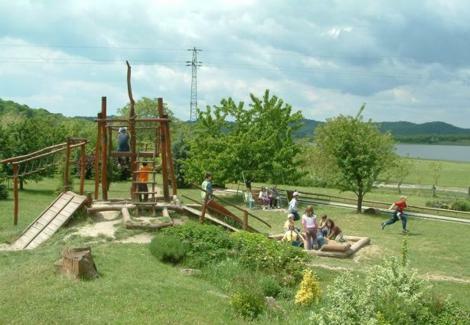 Next to the Inner-lake, there is the Family Leisure park in a wonderful surrounding where all parts of the family can find their fun. On the playground besides a lof of toys, the sand box,the swing and the favourite rope slide are waiting for the children. The parents and the grandparents can try the bowling and the mini golf.